The Penwith Society of Arts in Cornwall was formed on February 8th 1949. Conflict between the 'tradition­alists' and the 'modernists' at the St Ives Society of Artists in 1948 led to the resignation of 24 modernists and the following year they formed the Penwith Society, 'open to those practising painting, sculp­ture, graphic arts, and crafts with a creative element'. Although there was no direct connection between the two events, the birth of the new Society coincided with a cleavage in the wider field of art in England, where the groupings were described as Right and Left wing, or Conservative and Progressive. ‘the new Society owes a special debt, and perhaps its existence, to a traditional painter, the late Borlase Smart, because he was broad in outlook and (at a time when it was unpopular to do so) made room for the modern, and encouraged young artists with fresh ideas. It is on his ideas of progress that the new Society has broken away from the old. The Society proposes to carry these ideas forward by including in its membership good crafts­men and traditional artists as well as representatives of newer movements. It is entirely opposed to exclusiveness and antagonism. Its gallery, the old Public Hall in Fore Street, will be a focus, moreover, for lay members and for other Societies with like ideals, where art may be seen, heard, encouraged and discussed’. 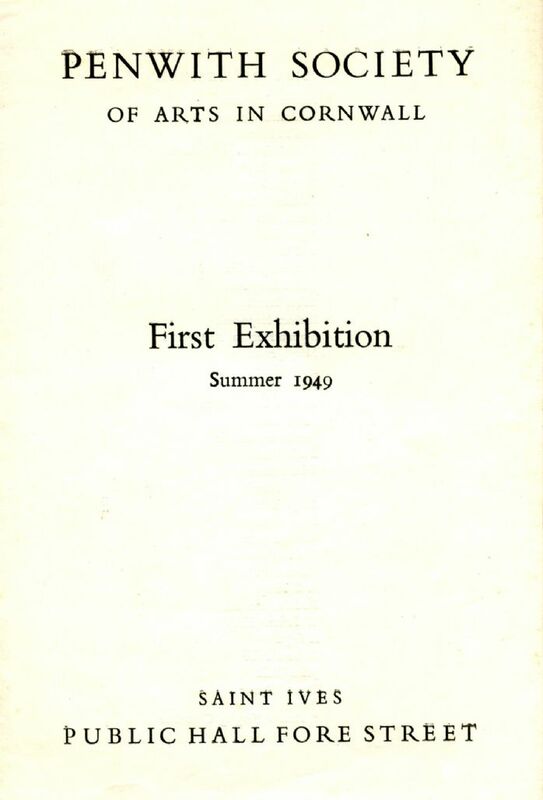 The 19 founding members of the new society included: Shearer Armstrong, Wilhelmina Barns-Graham, Sven Berlin, David Cox, Agnes Drey, Leonard Fuller, Isobel Heath, Barbara Hepworth, Marion Hocken, Peter Lanyon, Bernard Leach, Denis Mitchell, Guido Morris, Marjorie Mostyn, Dicon and Robin Nance, Ben Nicholson, Hyman Segal and John Wells, with Herbert Read as the first President. They bought, with the help of the Arts Council, the old fishing lofts along Porthmeor beach, some of which had already been converted to Artists’ studios.